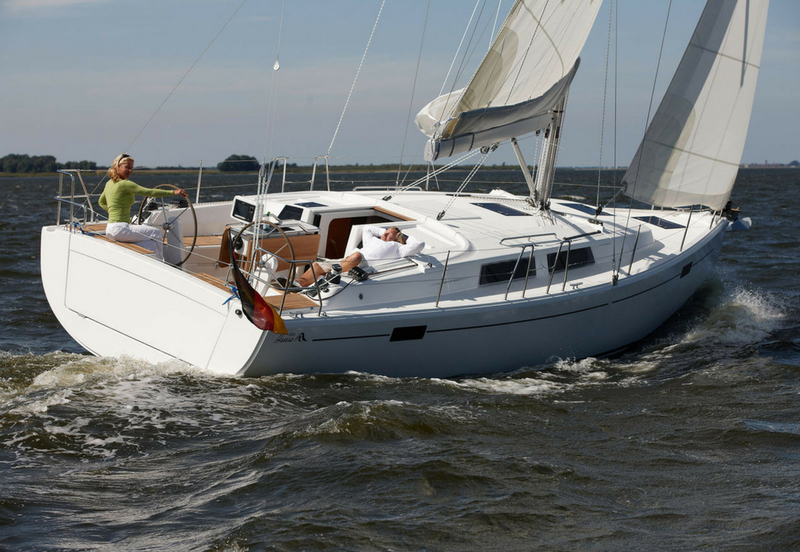 The Hanse 455 has been awarded Boat of the Year in several countries! 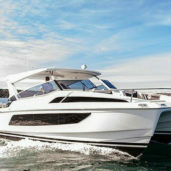 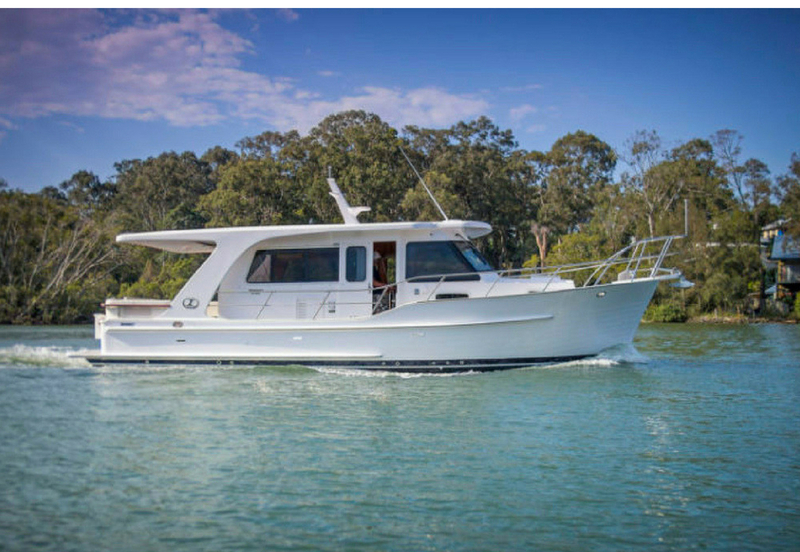 This gorgeous 455 has both Australian and global appeal, and is the third to arrive in our SMART Boating fleet. 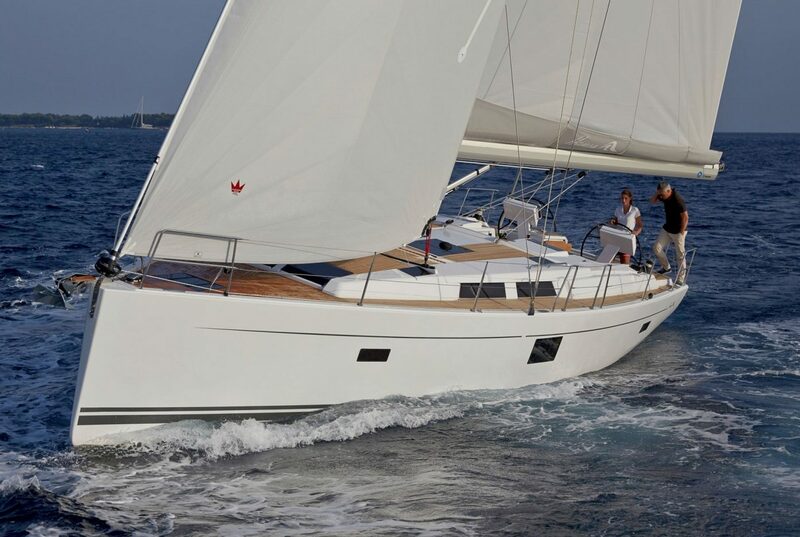 The Hanse 455 combines comfortable, stylish living with a powerful and smooth sailing experience. 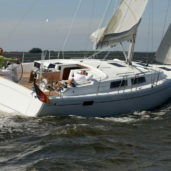 The 455 is very easy to operate short-handed or single-handed. 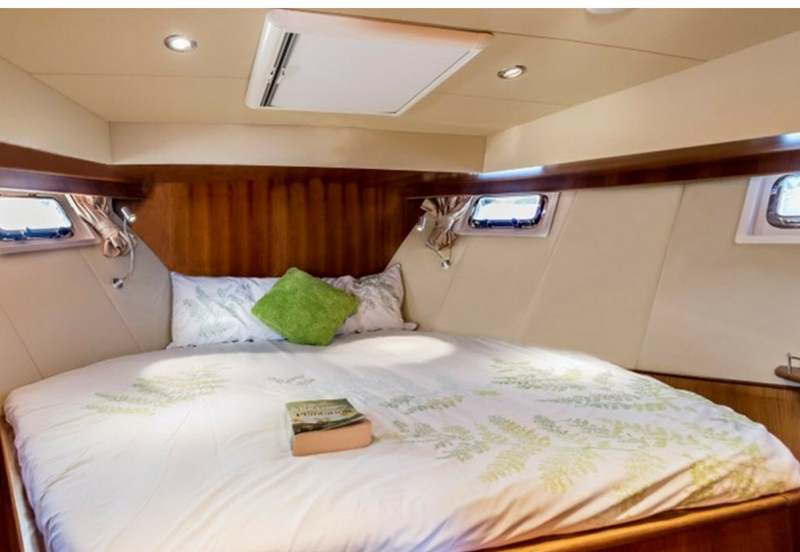 This impressive yacht is delightfully roomy and has one of the largest cockpits in its class. 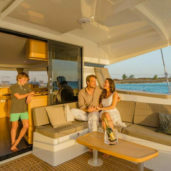 Its modern design brings in light, ventilation and panoramic views. 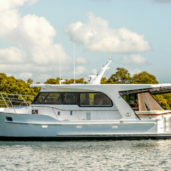 The 45 is luxurious and seaworthy … and comes at an incredible price for a yacht of this calibre. 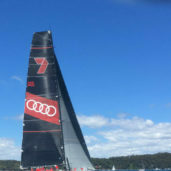 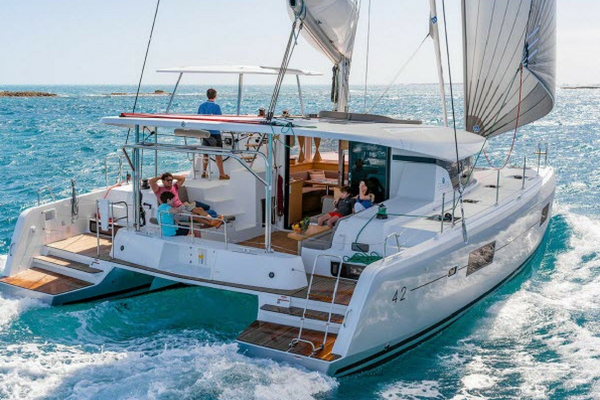 The Hanse 45 anchors in two of Australia’s most desired sailing locations: the tranquil surrounds of Pittwater and the stunning marine environment of the Queensland Whitsundays. 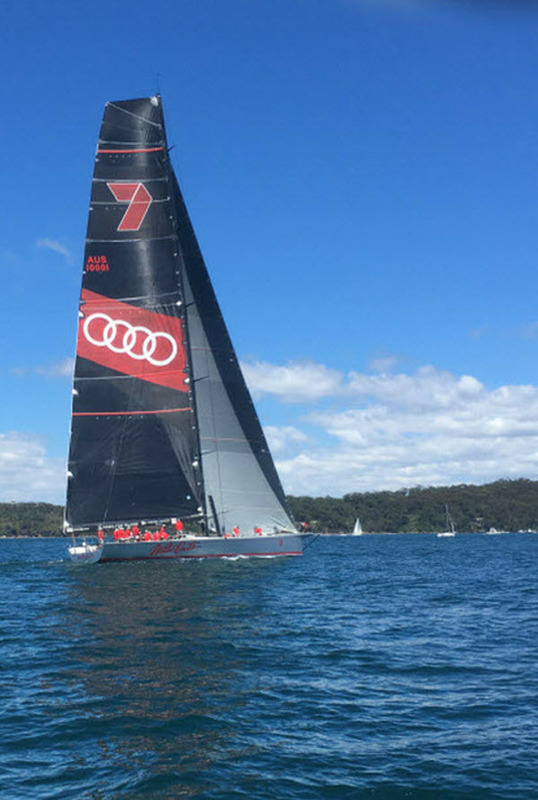 From November to June, your yacht will be based at beautiful Pittwater, which is located only 45 minutes from the Sydney CBD … and one of Sydney’s most popular yachting hubs. 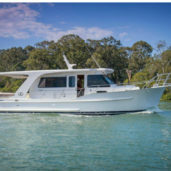 This allows you to sail around the many waterways of the Hawkesbury, popular Lion Island and even into Sydney Harbour. 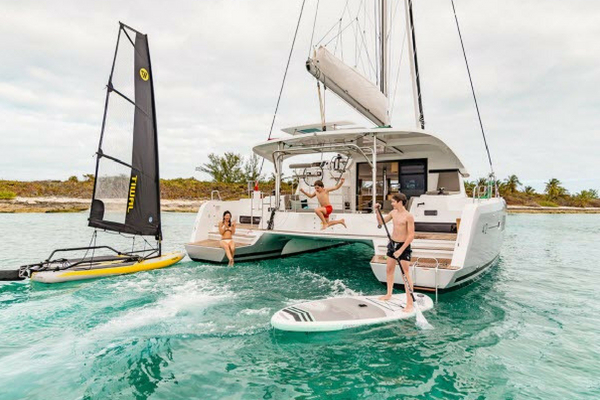 Then from July to October the Hanse 455 seamlessly moves to the excellent marina facilities at Hamilton Island, one of the most sought-after locations in the Whitsundays in Queensland. 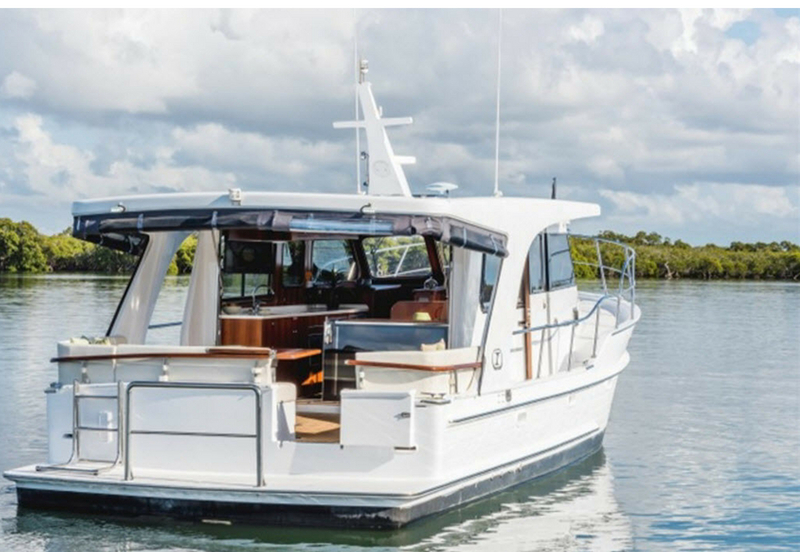 A quick direct flight to Hamilton Island means that you can board your yacht within minutes and explore the spectacular corals and beaches of the Whitsundays. 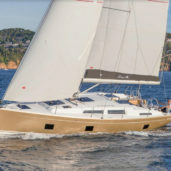 Exterior - A Superior Sailing Experience! 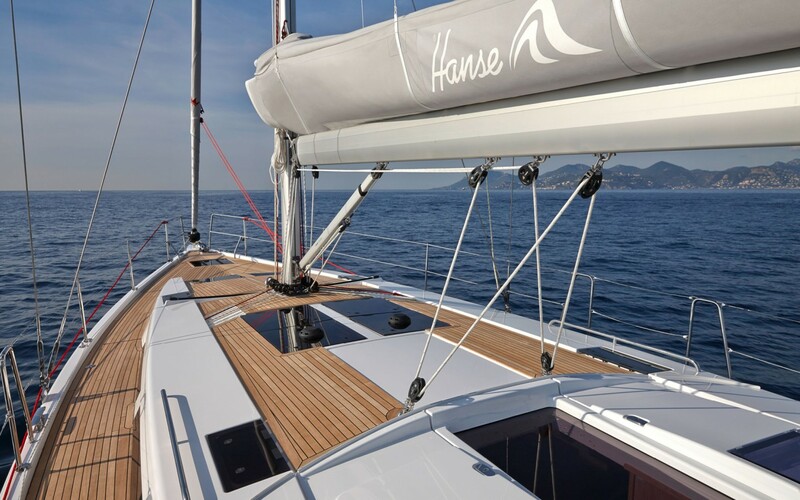 The German-made Hanse 45 is bold and confident in its design … and is one of the largest and best performing in its class. 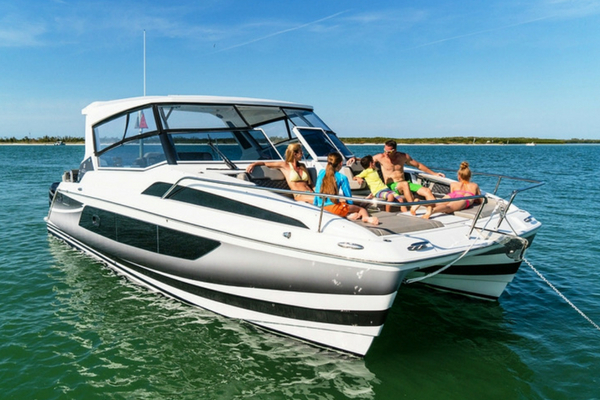 For a large, sturdy boat it’s surprisingly responsive and very simple to operate. 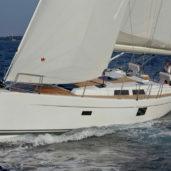 It has a well-designed keel and rig and rudder, but it’s the self-tacking headsail that really makes sailing easy! 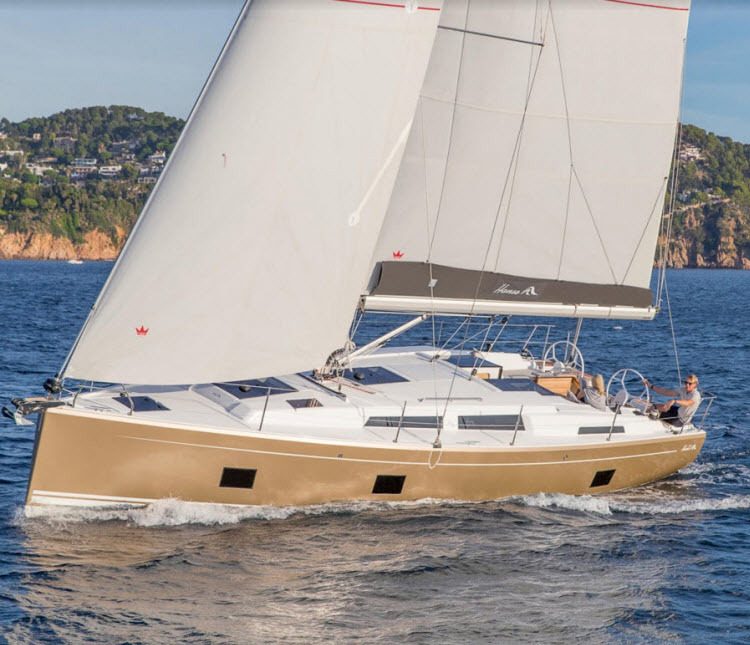 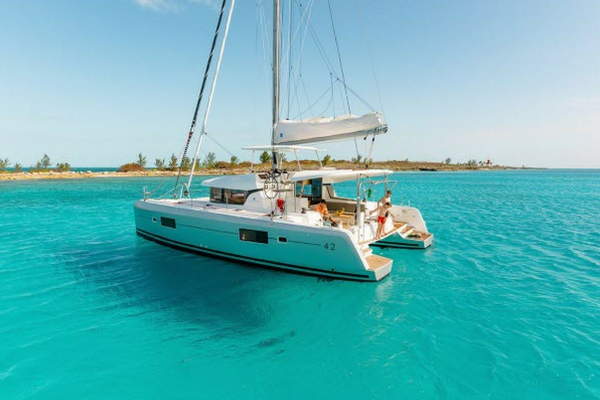 The electric winches mean that hauling up sails is a breeze, and the Hanse’s long sleek hull, high waterline and all sails leading aft mean that it’s always a smooth ride. 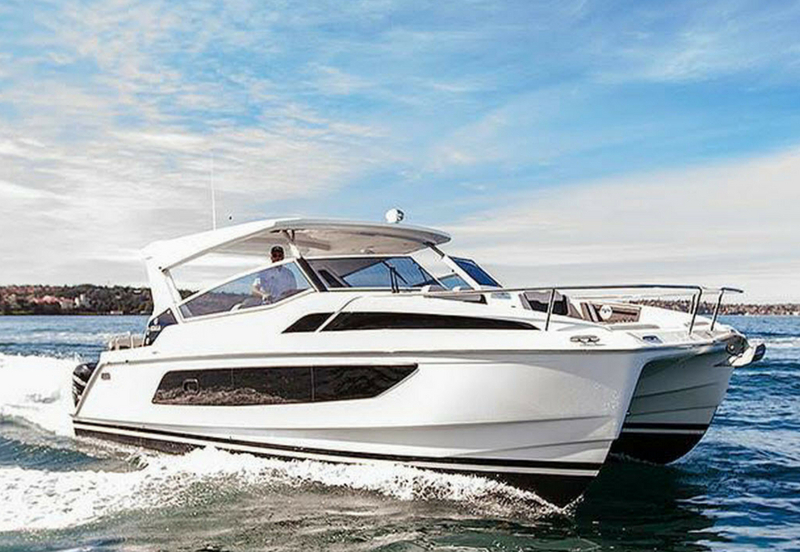 Twin black GRP steering wheels each with a Navpod, including a GPS plotter, mean that you’ll never have to worry about finding your way around. 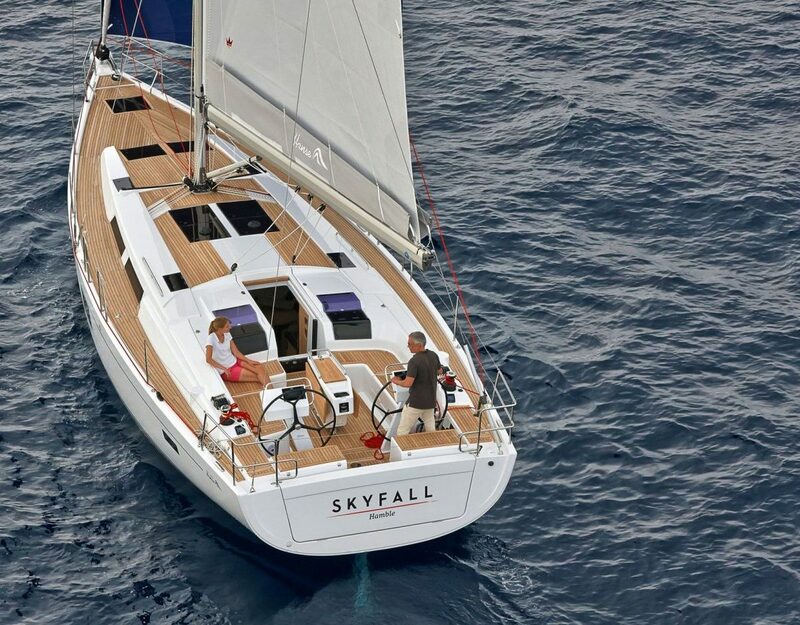 This boat practically sails itself! 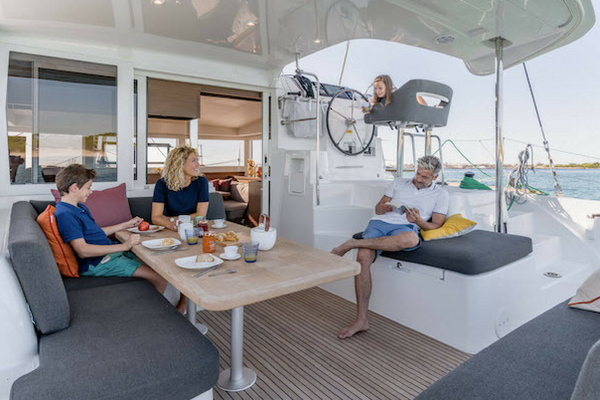 One of the boat’s stand out entertaining features is the large swim platform with an LPG BBQ so you can cook up a treat for guests. 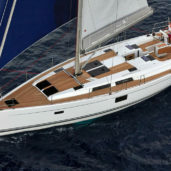 Extra comfort comes with a hot and cold shower on the teak bathing platform. 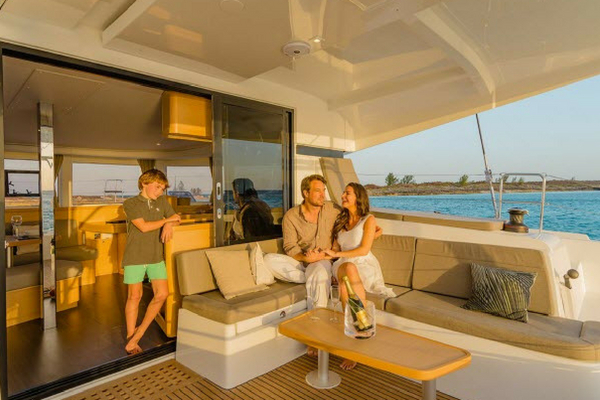 You’ll love the al fresco dining table with a table lamp so you can relax and entertain under the stars. 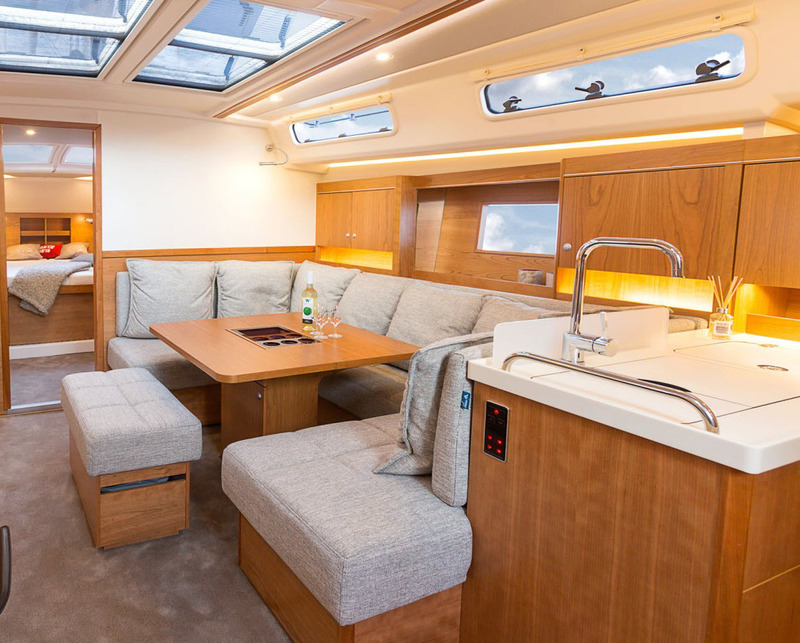 Interior - Large and luxurious! 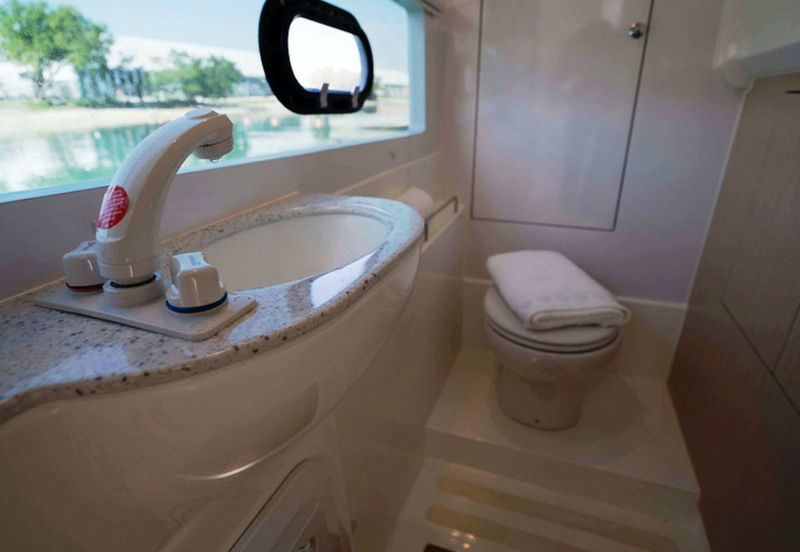 The boat’s interior is sophisticated and solid. 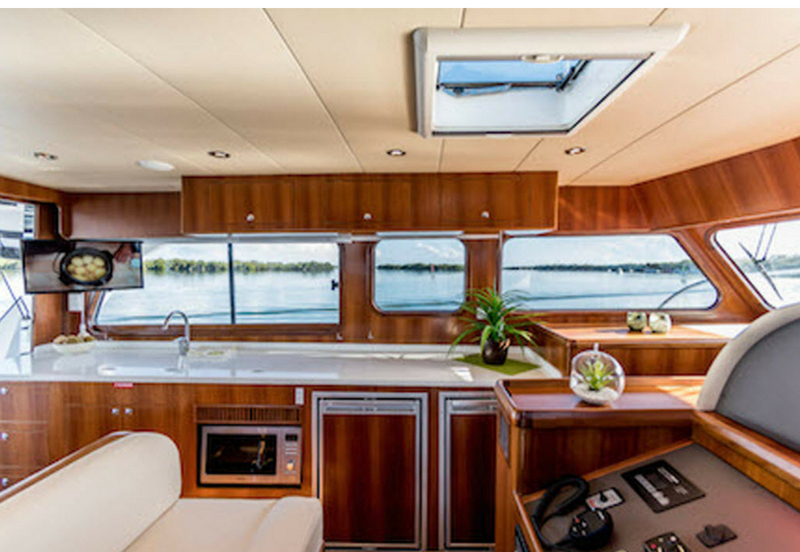 The cabinets are polished ‘American Cherry’ and there’s tasteful oak flooring. 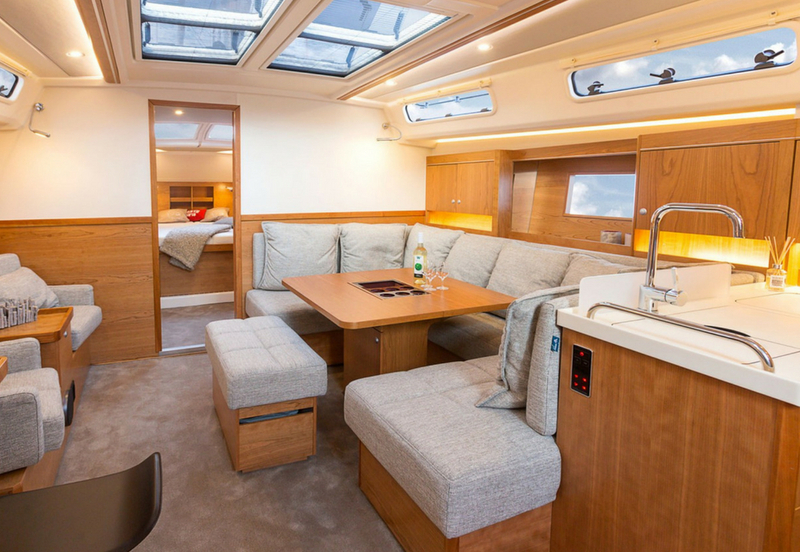 Soft and inviting beige melange upholstery adds a touch of style. 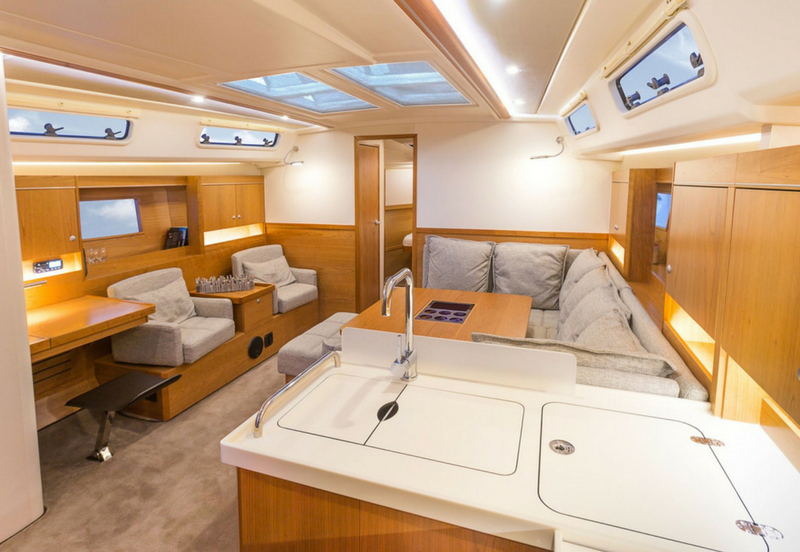 With 18 opening hatches and ports, the interior is exceedingly well ventilated and allows abundant natural light to flood in. 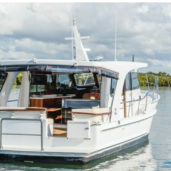 A multimedia entertainment system including Bluetooth link and cockpit remote control means you can enjoy music anywhere. 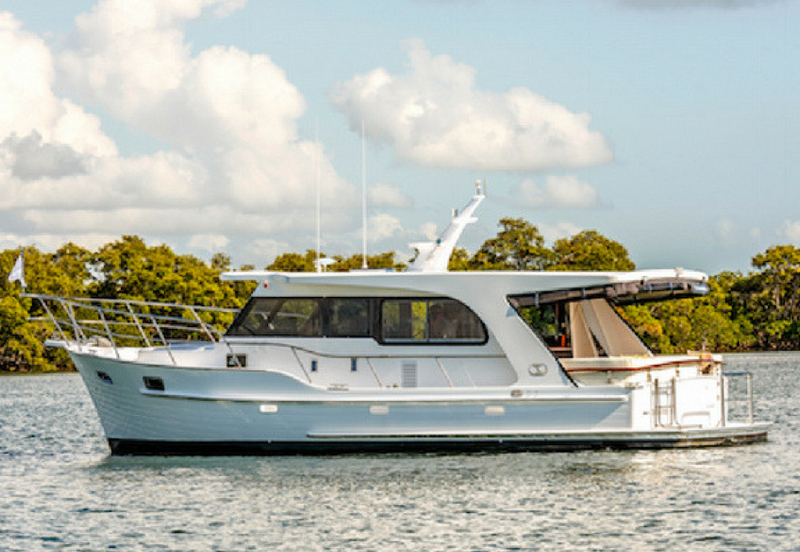 Three large refrigerators, an LPG BBQ above the dive board and a three-burner stove mean one thing – entertaining! 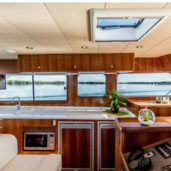 The enormous cockpit provides wonderful visibility and plenty of room to move. 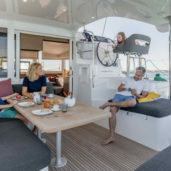 There’s an oversized bimini in the cockpit which means you can relax there no matter what the weather’s doing. 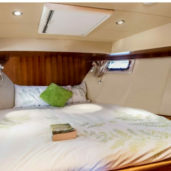 You’ll enjoy the comfort mattresses in all three cabins – everyone on board will have an easy night’s sleep and separate electric toilets provide complete privacy. 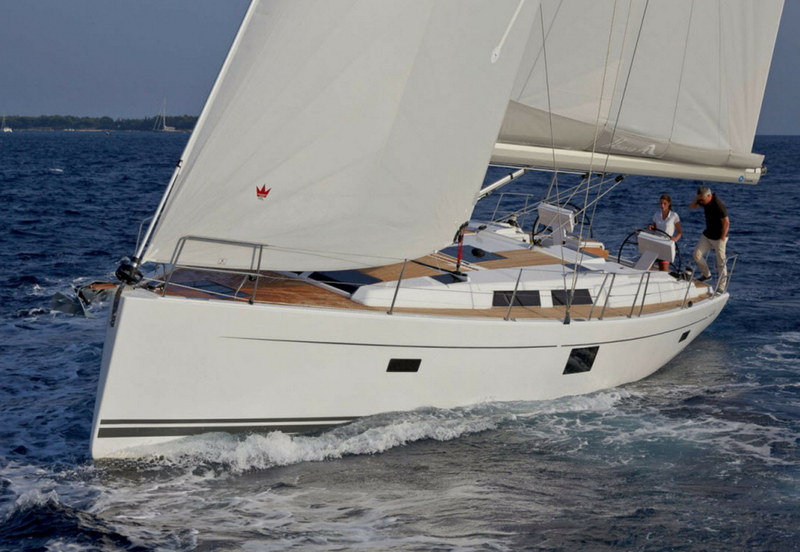 Light-filled, roomy and extraordinarily comfortable, the Hanse 455 interiors are luxurious and intimate. 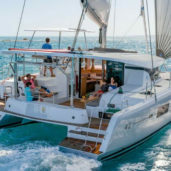 This SMART Boating syndicate runs for five years after which time the boat will be sold and all owners receive an equal share of the net sale price. 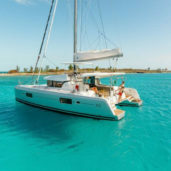 If you want or need to exit the syndicate early there is no penalty and we can even help facilitate the sale of your share. 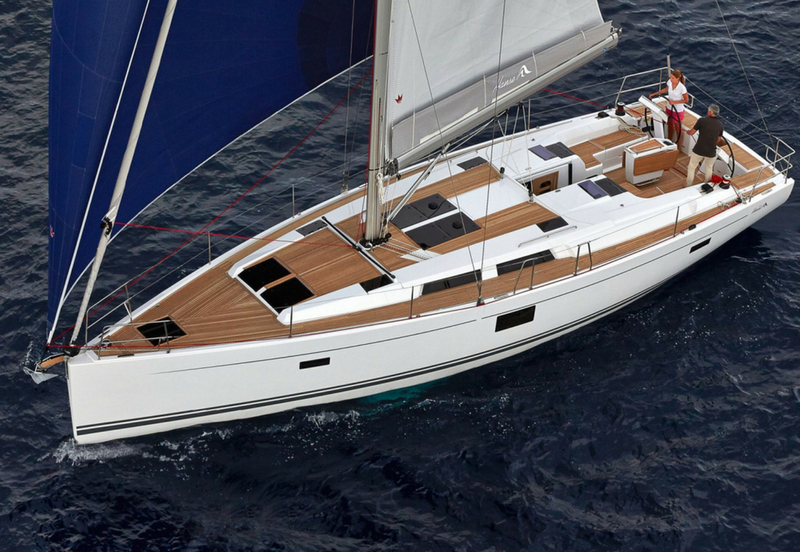 If you are ready to proceed now, you can download an application form here.